The project was to design and develop software for new machines, which perform the accurate positioning of electronic components onto circuit boards. This involved writing a detailed design specification and then implementing the software using Intel ‘C’. 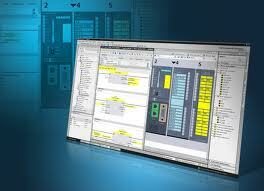 The software was real-time, embedded and used the Siemens RMOS real-time operating system. An additional task which we performed was to write a simulation of certain processes within the automation machines. This simulation was written using Microsoft Visual C++ with the Microsoft Foundation Classes. The simulation runs on Windows NT 4.0 and has a graphical user interface.